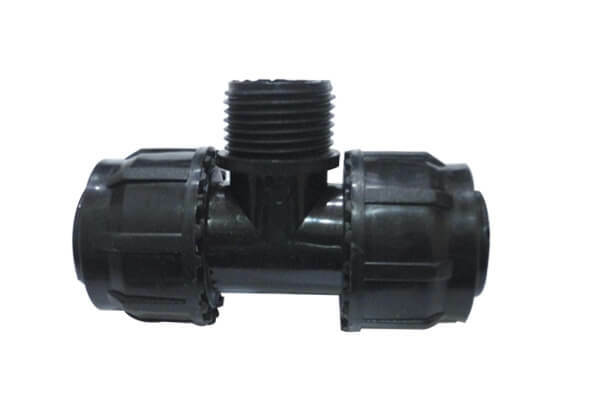 Our company is used to offer the high ranges of the compressor fitting tee in a wide assortment. We are used to manufacturer and supplier of Tee Fittings, which are broadly used by assorted associated industries of different kinds. These fittings are manufactured with the towering grade of materials and we are providing the all set of tees made of metals, nickel, nickel alloys, stainless steel & other a number of materials. Tees are manufactured as equal tees and reducing tees. Equal tees are exactly that, all three ends are of the same size. We offer high quality Tee manufactured using superior raw material and with the advanced machines. These are designed to connect three pipes together in a tee shape without allowing any leakage. Our offered tee fittings can avail by the customers in both metal and plastic form. Our employees manufacture this product by using the latest methods. We have wide assortment of Tee in our manufacturing unit with the specially designed modern manufacturing unit. Tees can connect pipes of different diameters or change the direction of a pipe run, or both. Available in a variety of materials, sizes and finishes, they may also be used to transport two-fluid mixtures. This tee provides the longer service life.